If you are looking for a Placerville roofing contractor, you want to be sure you find one you can count on to take care of your roofing needs in a prompt and professional manner. You want one who is experienced in many areas of expertise, offers quality service, has a strong commitment to the community and is a licensed and qualified contractor. They should be able to help you with everything from roof repair to total roof replacement. 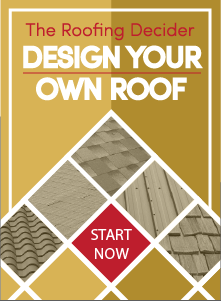 Choosing Straight Line Roofing as your roofing contractor means you are getting a company with an excellent reputation who is dedicated to offering customers the best in quality and service. We strive to provide our customers with fast, high quality service at a price they can afford. When you are looking for a Placerville roofing contractor, you should also know we are GAF Master Elite certified, an Owens Corning Platinum Preferred Contractor and a Certainteed Select Shingle Master. Straight Line Roofing is a rapidly growing roofing company and we plan on being around for a long time to come. We can help you if you need roof repair, roof replacement, roof maintenance or a solar heating system added to your roof, among other things. We focus on offering our customers the best in quality and using roofing products that provide longevity. We also provide our customers with customer support they can count on. At Straight Line Roofing, we take the time to answer your questions and make sure you have a complete understanding of the condition of your roof and everything entailed with the job. This way, you get the whole picture and know you are taking the necessary steps to repair your roof in a manner which ensures you will get the most out of it. Your roof protects your family and your home from the elements. Choosing a Placerville roofing contractor you know you can count on for all your roofing needs is important, As 3rd generation roofing contractors, we put our customers first and strive for high standards of quality. If you have any questions or concerns about the condition of your roof, contact Straight Line Roofing; we are more than willing to help you. Putting off the inevitable will only end up costing you more time and energy down the line.